So, I know I'm a bit late, I sincerely hope that you, precious reader, and the fabulous administrators of Atelier Kreslo forgive me. I was chosen as a blogger for AK's Donut Fair, and the offerings there are just lovely. Some of my favourite designers- Schadenfreude, flowey, Pixicat, and Breno- have moved out of their usual niches and have baked up some beautiful pixel pastries for your delight. 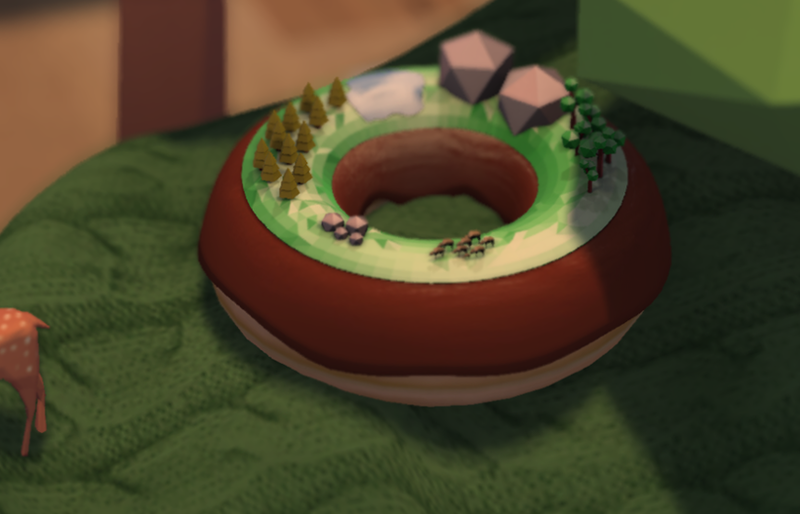 I've chosen some of the most inspired and unusual donuts, though there are plenty that take after more traditional sweets, and are just as stunning, and will fit beautifully with a summery outfit or a warm, beautiful home. Not much commentary beyond saying how incredible they are, please take yourself over to this fun little event. 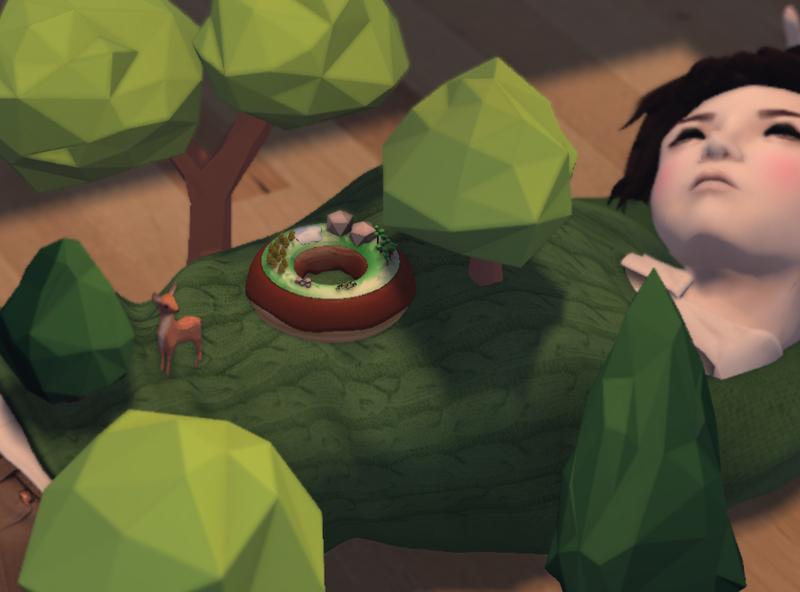 Wolfy Breno (of the furniture store Breno) released a pair of low-poly donut dioramas, and they are nothing if not charming. The details are delicate and sweet, and will totally steal your heart. 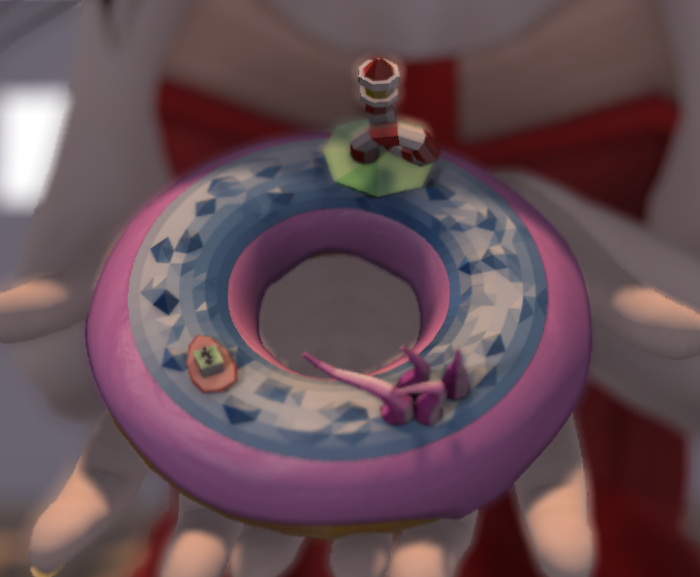 For the pictures, I attempted to become a larger version of the scene on the donut, trying to be both lighthouse and kraken for the first, and a quaint forest in the second. Areve, the beautiful genius behind Pixicat, has brought a pair of anatomically-inspired confectioneries. She brings her usual level of breathtaking detail to her work, and the fact that they are so well-made can make one forget entirely the gruesome potential that lurks beneath their sugary delights. I had a spectacularly fun time taking these pictures. 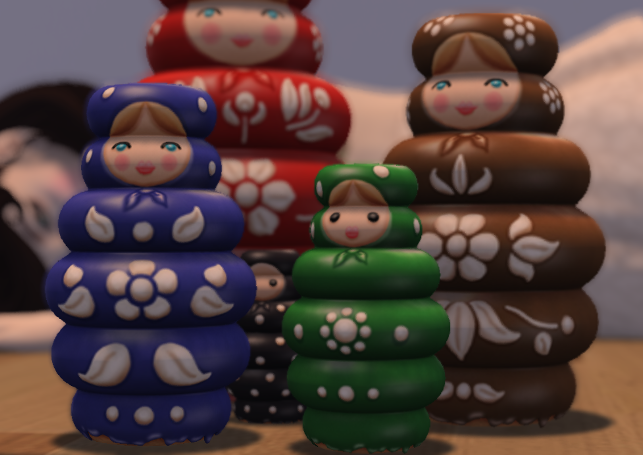 Finally, I offer for your pleasure and consideration, Allegory Malaprop (the wonderfully impish lady behind Schadenfreude) has gifted us all with the creation of her darling Matryoshkrullers: donuts that have taken on the shape of those well-known Russian nesting dolls, probably as an attempt to keep from being eaten! Whether or not you're willing to give their ploy any legitimacy, you should pick up these five increasingly little sweeties.